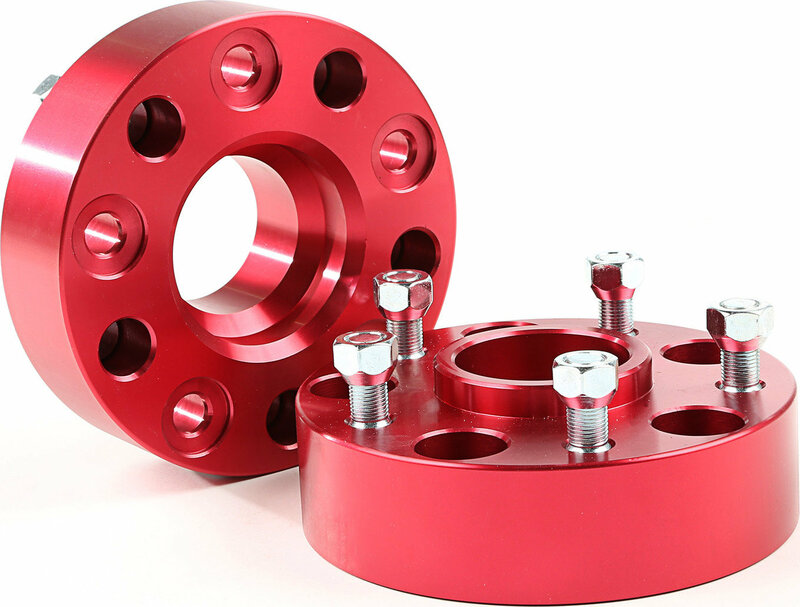 This pair of 1.75-inch thick red aluminum wheel spacers from Alloy USA moves your wheels out to help fit wider tires and give your Jeep a wider track and improved stability. Constructed of double anodized black extra thick 6061T6 aluminum for long life and extra corrosion resistance. All hardware is grade-8 for extra strength. Pretty simple. Pretty great. Doesn’t come with loctite so make sure you have some. Wire brush the hub to remove any rust, it doesn’t seat well if you don’t. 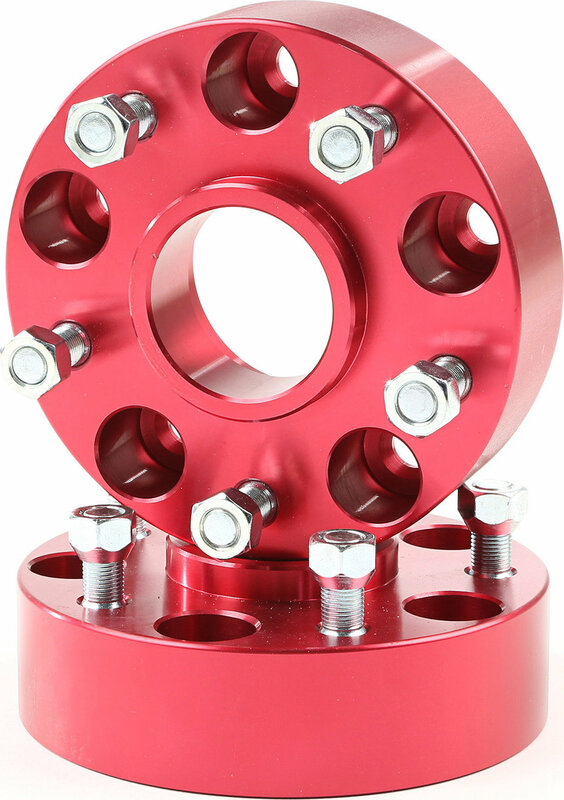 When it comes to spacers and adapters you really cant get any better than these. Just know they only come in a set of two, that being said they are worth the money to ensure your safety.